Point2 Homes gives you far more than a simple list of houses for sale. Get instant access to a lot of relevant information about Cape Breton Island, NS real estate, including property descriptions, virtual tours, maps and photos. The search results pages also have a wealth of information on Cape Breton Island, NS, if you scroll all the way down. 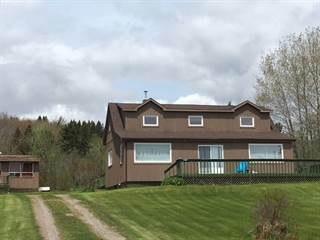 There are 440 houses for sale in Cape Breton Island, NS. 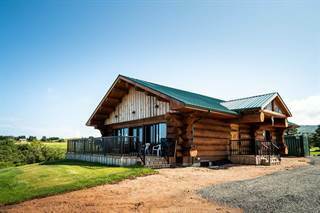 Searching homes for sale in Cape Breton Island, NS has never been more convenient. With Point2 Homes, you can easily browse through Cape Breton Island, NS single family homes for sale, townhomes, condos and commercial properties, and quickly get a general perspective of the real estate prices. Also, you’ll never miss a bargain if you filter listings based on house price drops in the past six months. Use the map view to find Cape Breton Island, NS homes and apartments for sale, based on amenities or city features that you may want close by. You can close in on a specific neighbourhood or area by simply drawing around them with the polygon or radius tools. Stay informed about the latest entries on the real estate market by saving your searches. This way, you get new listings in your inbox, daily or every week, based on your preferences. If you’d like to get in touch with a professional, agents are displayed next to their listings, and they’re easy to contact through the online forms. If you want more options, you can click the Tools tab and Find an Agent, and you’ll get a list of helpful and knowledgeable real estate agents in Cape Breton Island, NS. Visit the Point2 Homes blog and you can find up to date expert advice on many markets throughout Canada, regular market reports, neighbourhood scoops in cities throughout the provinces, real estate deals and useful recommendations. Cape Breton is a regional municipality part of the Cape Breton Island located in the province of Nova Scotia. It currently has a population of roughly 99,000 inhabitants and occupies a total land area of approximately 2,400 square kilometres. An interesting fact about Cape Breton county is that it was formed in 1995 as an amalgamation between several towns. Although the Cape Breton County profits heavily from the fishing and steel industries, there have been heavy efforts made to diversify the economy so that it has multiple sources contributing towards Cape Breton's economic stability and growth. One of such diversifications is the booming tourism industry, where the many coastal sights and cruise ship tours have attracted visitors from all over North America. Other expansion efforts made by the country have included the opening of several ‘big box’ stores (WalMart, Canadian Tire, etc. ), and offshore petroleum production. One of the best parts of the Cape Breton County is the immense amount of entertainment that it provides to incoming tourists and those who live there. If you are looking for an entertaining nightlife that is commonly seen in major cities, this is not the place for you. The activities here are mostly outdoors with the exception of the historical museums, art galleries, old churches, and the casino. There are bus tours that will take you around the most scenic parts of the county that are located on the coastline, along with boat tours that will do just the same at a sea level. When you are feeling famished, there are many small restaurants and pubs where you can grab something quick to eat and drink before you head back outside. The Cape Breton County is comprised of seven former cities and towns that have now become major communities within the county: Sydney, Glace Bay, New Waterford, North Sydney, Louisbourg, Dominion, and Sydney Mines. Sydney, North Sydney, and Sydney Miles tend to be the busiest areas of the Cape Brenton regional municipality, and are home to most of the museums and tourist buildings that you will find within the county. Additional things to watch out for are the challenging hiking paths, and some local libraries that allows public guests to come in, and kick back with a good book or two. Glace Bay and Dominion are home to some museums and a theater where local talents from all genres of art try to make their debut and get their voices heard. Additionally, there is a golf course here that will provide even the most veteran golfers with a solid challenge. New Waterford is a fairly isolated community that is small in number and scope. It is the ideal place for somebody who wants to be far away from major parts of the county and enjoy some peace and quiet for themselves. Notable highlights from this community include the Low Point Lighthouse, and some local seafood restaurants with some delicious dishes. Louisbourg is similar to New Waterford with respect to a low population count, clocking it at just under 1,000 people. There are several national historic sites for tourists to visit, and lucky goers will have the privilege to catch live re-enactments of Canada’s most historic moments in its development as a country. The regional municipality of Cape Breton is only home to two post-secondary institutions, the first of which is Cape Brenton University (CBU). CBU has well over $3 million in research funds available to them, and places their focus on subject areas such as nursing, information technology, nutrition, and education. The other institution is the Nova Scotia Community College, where people can learn applied skills and trades that are directly applicable to the modern workforce. All of the 25 or so elementary schools in Cape Brenton County (K-8) fall under the Cape Breton-Victoria Regional School Board. Most of the schools are generally regarded as well-rounded institutions that give each of the main subjects an equal amount of time and effort. There is a high tendency for many of the students in these schools to move to other provinces within the country and excel in their academic endeavours. Sydney, North Sydney, and Sydney Miles are very similar to one another when it comes to real estate properties. You will notice that all of these homes have a design that is vibrant in colour, yet traditional when it comes to the structure and layout. There is ample amount of space between these homes, and the property sizes are not extraordinarily large. This is convenient for small families or bachelors that like having the right amount of front yard and backyard space available to them. Additionally, as CBU is located near Sydney, you can also expect to find apartments for rent during your studies, and condos to take up once you have graduated from college. 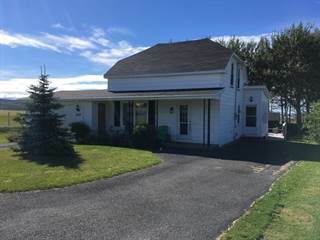 The communities of Glace Bay and Dominion are dominated by the presence of bungalows that come in all shapes and sizes. These homes, much like the residential properties in the Sydney communities, are best suited for single families that aren’t looking for a lot of excess space in their home. It should be noted that two-story homes tend to be a rarity in these communities. New Waterford is home to some of the smallest and cheapest homes that are available within the county. You can usually expect to see a single bathroom with 1-2 bedrooms, and maybe a parking garage that will fit in a single vehicle. It is common to find homes in this area that are within the lower 5-figure range. Louisbourg contains a lot of traditionally designed houses that are built right on the coastline. This is fairly easy to see when you look at the slightly odd shapes of the houses tilted slightly downwards. With that said, these homes are much larger in size compared to the likes of the properties seen in New Waterford and are best suited for larger families. The following table, based on data taken from the Canadian Real Estate Association (CREA’s) National MLS® Report for April 2016 (the latest information available), demonstrates how homes in LSTAR’s jurisdiction continue to maintain their affordability compared to other major Nova Scotia and Canadian centres.